Solo show titled 'Trout Fishing in America' at Jos Joos Gallery, Brussels. Belgium September thru October 2014. August found David Hollier across the pond in the UK. 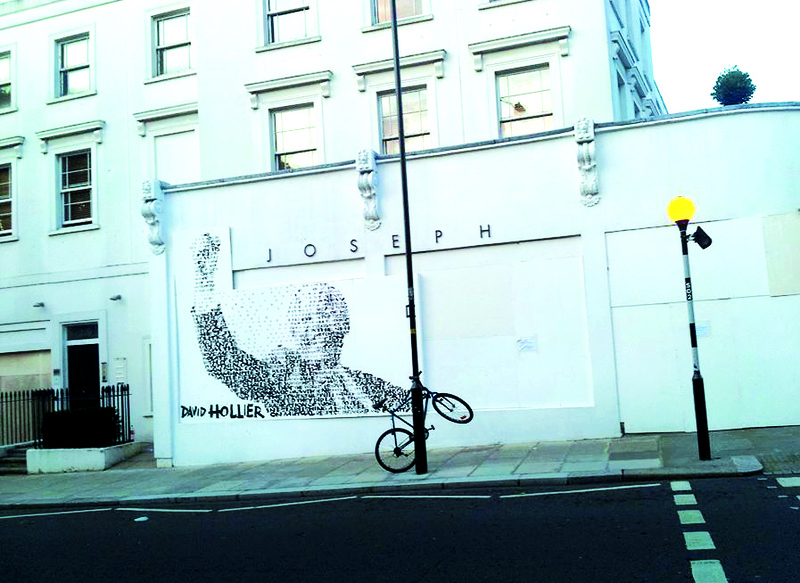 While there he collaborated with Ap-Art gallery and Notting Hill Carnival, working on street murals of Nelson Mandela and Richard Brautigan's "Autopsy of Trout Fishing in America. I have the pleasure of exhibiting at this years SELECT Fair in NYC May 8th to 11th. SELECT prides itself on providing a unique platform to a wide range of galleries from around the world, encouraging new media works. I will be debuting a mixed media installation, as well as several pieces from my IMAGO VERBOSA series. I hope you will join me. McCaig-Welles is pleased to present a collection by David Hollier, “The Autopsy of Trout Fishing in America”. This collective series will include original paintings and works on paper.